Resources about tools and libraries used for image management, including cloud-based image management tools, libraries, and attachment management tools. Below we have compiled publicly available sources from around the world that present views on Image Management Tools. 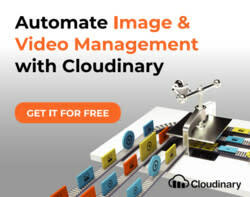 What is the Best Image Management Cloud Service? Media Use Cases — Resources about using images, animation, and other types of media in different use cases, for example, content marketing, user engagement, and more. Image Management Tools — Resources about tools and libraries used for image management, including cloud-based image management tools, libraries, and attachment management tools. Image Management and Operations — Resources about various automated image management tasks and operations, such as image upload, transferring images, image administration, and more. Image Delivery and CDN — Resources about image delivery, which refers to the quality, and speed of images delivered on web pages, and image CDN, the practice of storing images on geographically dispersed servers. Image Manipulation — Resources about image manipulation techniques, filters, and effects, including how to handle responsive images, and various filters and effects such as image blurring. Image Formats and Optimization — Resources about working with various image formats, and techniques or best practices for image optimization, image compression, and automated image encoding. Video Management and Operations — Resources about automated video management tasks and methods, including video upload, embedding video, video search, and more. Video Delivery, Streaming and CDN — Resources about popular HTML5 video players and adaptive bitrate video streaming technologies and servers such as HLS, MPEG-DASH. Video Editing and Manipulation — Resources about automated video editing and automated video manipulation techniques, filters, and effects, such as video fade out, video cropping, and more. Video Formats and Transcoding — Resources about working with various video formats, and techniques or best practices for automatic video transcoding and encoding, and video compression. 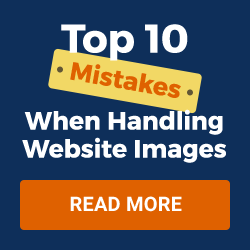 Still Managing Images and Video In-House?